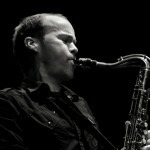 Saxophonist-clarinetist Chris Speed is one of the most in-demand reedmen in New York. For over 20 years his brilliant tone and imaginative compositions have made him one of the busiest collaborators in the Brooklyn scene. Speed has appeared on stage and on record with Dave Douglas, Uri Caine, Tim Berne, Myra Melford, John Hollenbeck, Cuong Vu, Kurt Rosenwinkel and many more. Speed is a member of a number of ensembles, including the Claudia Quintet, Human Feel, Orange Then Blue, Bloodcount. His own bands include Endangered Blood, Human Feel, yeah NO, Trio Iffy, Pachora and The Clarinets. 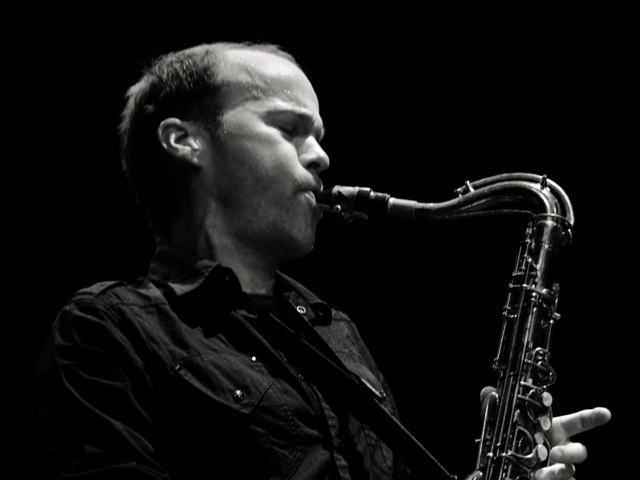 He is a founding member of Jim Black’s Alas No Axis and John Hollenbeck’s Claudia Quintet, works with Uri Caine and maintains a busy career of touring, recording, performing, composing, practicing and teaching. Current projects include work with Craig Taborn, Michael Formanek, Dave King, Banda de los Muertos (NYC’s only Banda band), as well as touring his latest project, Endangered Blood (with Black, Trevor Dunn and Oscar Noriega) which was featured on NPR’s Tiny Desk Concerts in 2012. Born in 1967, Speed grew up in the Seattle area where he met future colleagues Jim Black and Andrew D'Angelo, all of whom ended up in Boston in the late 80's where they formed Human Feel with guitarist Kurt Rosenwinkel. While in Boston he studied at New England Conservatory and graduated in 1990. By 1992, after a short tour with the Artie Shaw Band, Speed moved to New York City where he started working with Tim Berne’s bands. Throughout the nineties his formidable improvisational approach on both tenor saxophone and clarinet contributed to other pioneering NYC bands including the Dave Douglas Sextet, Myra Melford’s Same River Twice, John Zorn and Mark Dresser’s trio with Anthony Coleman. As a member of Pachora (with Black, bassist Skuli Sverrisson, and guitarist Brad Shepik) Speed became known as one the leading NYC musicians adapting the odd time signatures and melodies of Balkan music into jazz-based music. His critically acclaimed improvisational trio The Clarinets with Oscar Noriega and Anthony Burr (now professor at UCSD) explores the possibilities of the clarinet in the context of group improvisation. This group blurs the boundary between composed chamber music and experimental improvisation. Speed formed the band yeah NO in 1996 as an experiment in decoding and scoring out improvisations which inspired an unusual book of music that also fused elements of free jazz, modern rock, eastern folk and minimalism. After the debut record in 1997, they thrived in the center of new music in NYC. Speed was named the rising star clarinetist in Downbeat magazine for 2004, 2005 and 2006, was the recipient of a NEA composition grant in 1993, and in 2004 was the guest soloist at the Copenhagen International Jazz Festival working with over 10 different cutting edge Danish bands. In April 2006, he launched Skirl Records, a label dedicated to Brooklyn based creative music, now with 21 releases. He is “one of the principal figures in a dynamic left-of-center jazz/improv scene in the city.” (NYTimes).